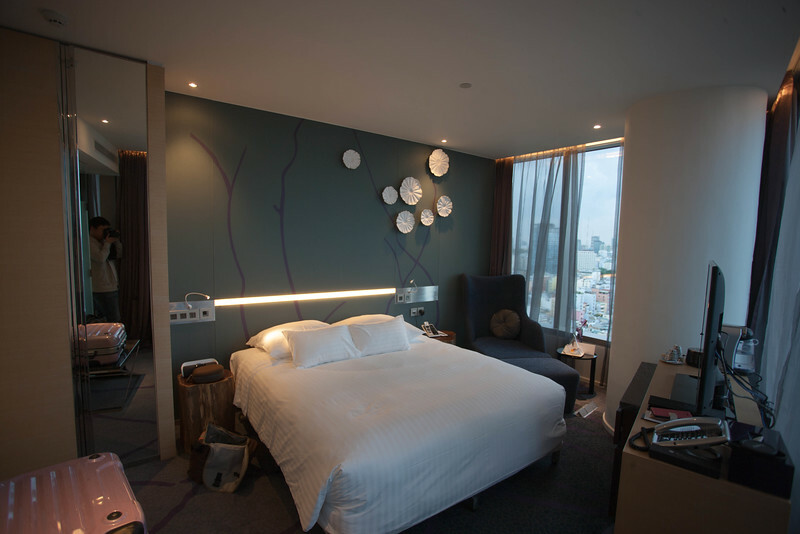 I stayed at Pullman Saigon Centre for SGD160++/night for its entry room. 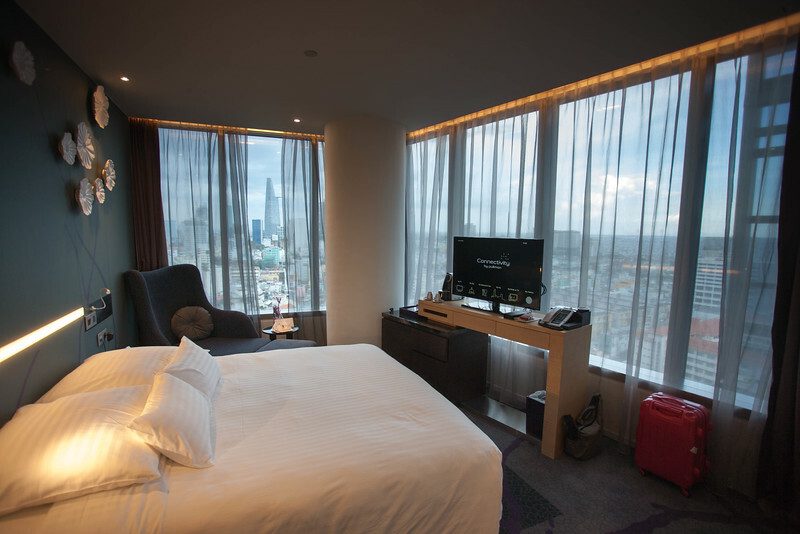 I was upgraded to a Deluxe Room on the higher floor with Executive Lounge Access thanks to my Accor Platinum membership. 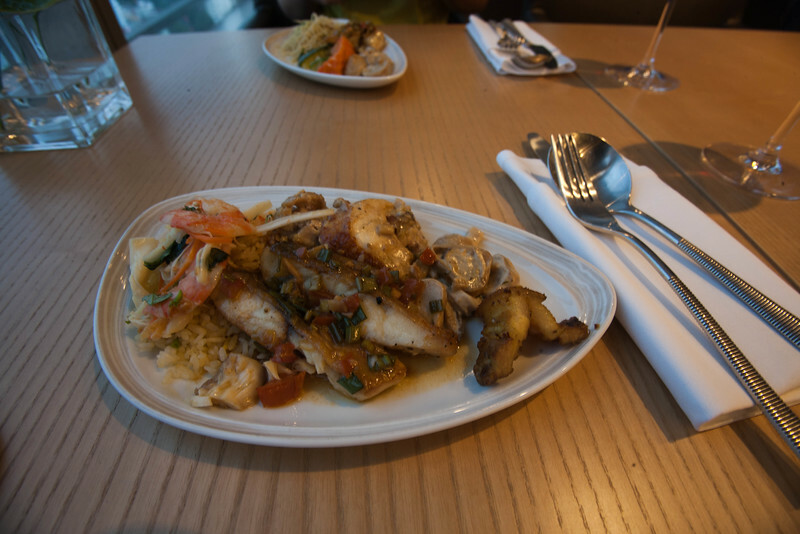 We were greeted as Accor Platinum members and guided to Level 30 for check-in @ the Executive Lounge. The check-in process was quick and non-hassle. We were ushered to our rooms within 15 minutes. 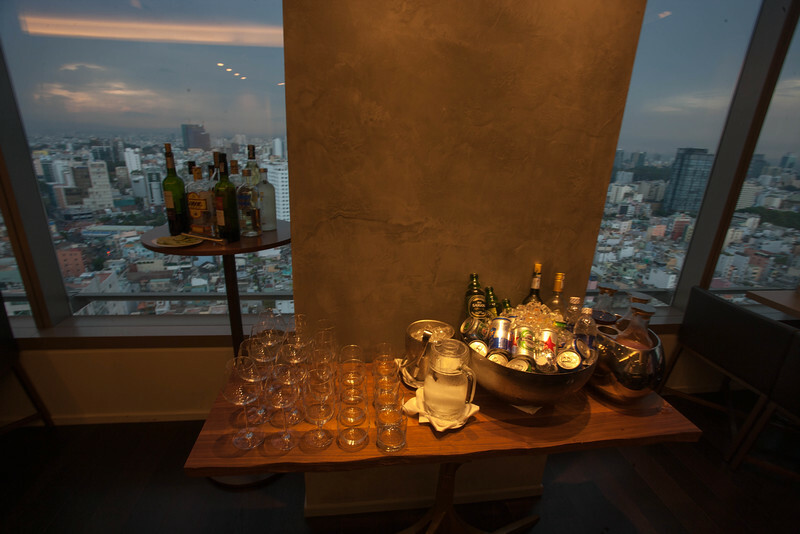 The room featured full sized ceiling to floor windows and offered stunning views of the city. 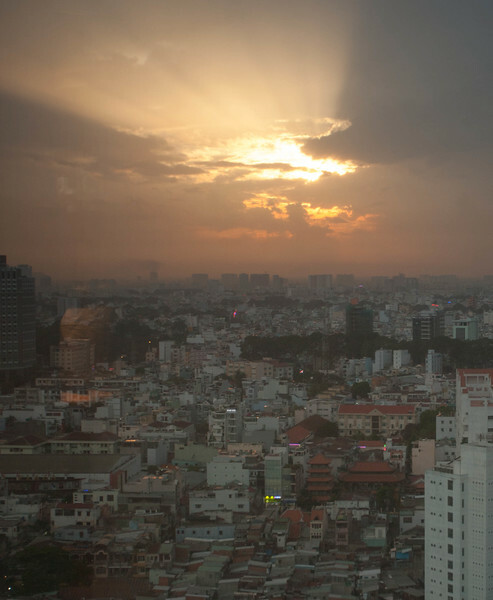 Recall the photo I took from the Saigon Opera House? We caught a glimpse of the hotel from that shot. As Accor Platinum, the room featured a gourmet delight which is sugared tangerine peel & a welcome gift in a Pullman branded ball point pen. 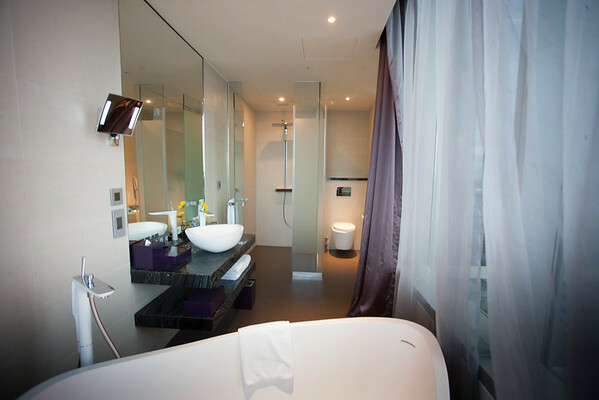 The bathroom offered separate shower and bath with a stand-alone cubicle. The egg shaped bath offered sweeping views of the city. 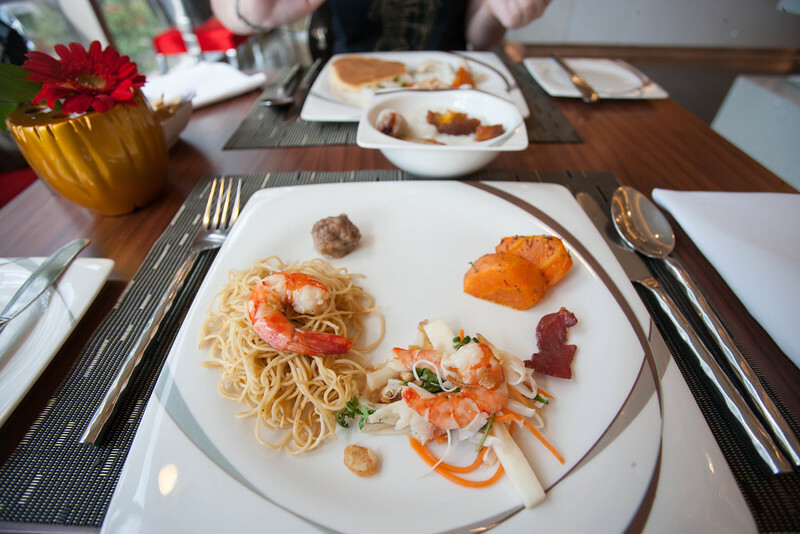 We went over to the Executive Lounge at 1800hrs for its evening canapés and view of the setting sun. 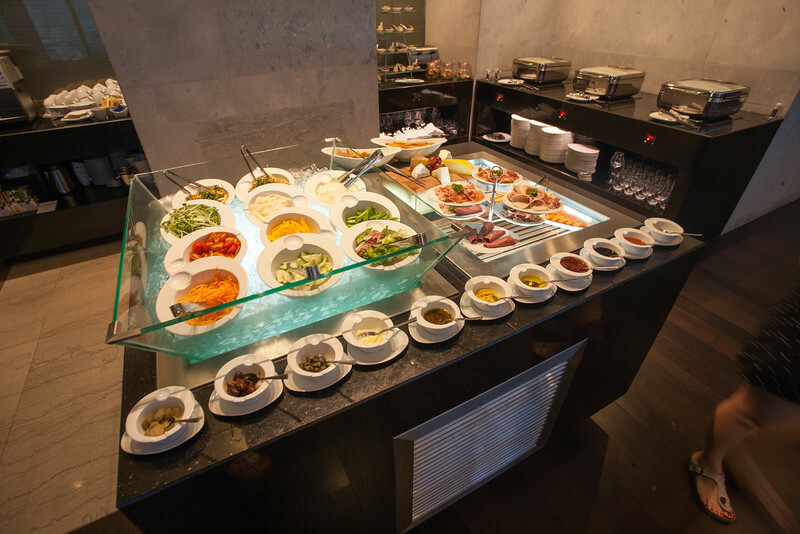 The Executive Lounge offered 3 hot dish, a salad bar, some desserts and snacks for its F&B spread. They also offered alcoholic drinks at its self-serve bar counter. During the night, we were treated to an fireworks display as it is their Reunification Day. 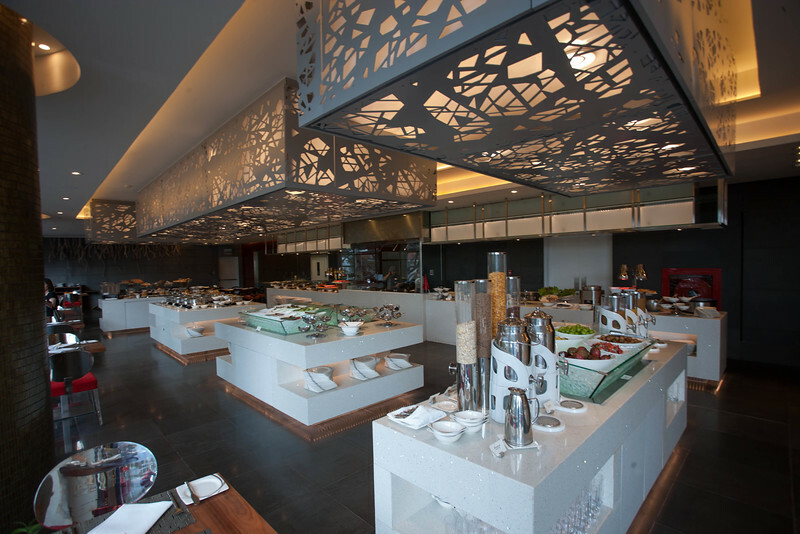 We had breakfast at the main restaurant, Open Kitchen, the next morning. The restaurant was empty when we stepped in at 0800hrs. There was a wide variety of food from cold cuts to bread, hot food, local fare, continental fare and order to cook stations. 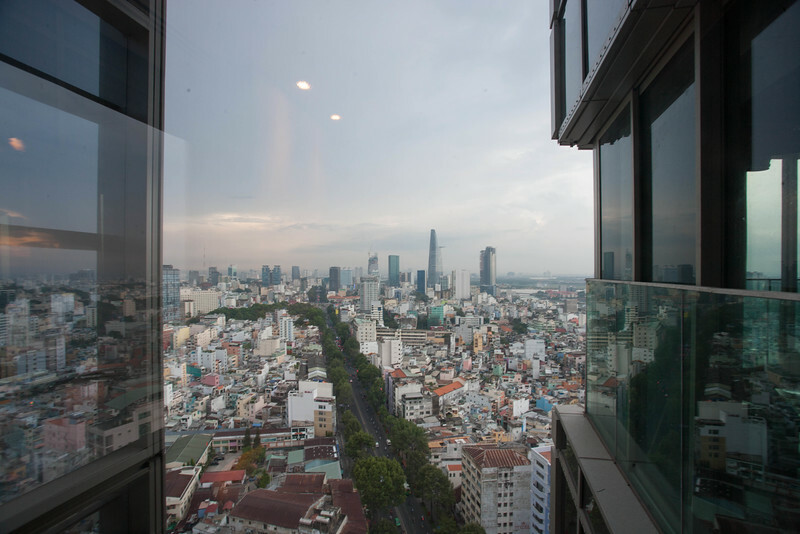 The Pullman Saigon Centre is a business hotel which offers great connectivity and is walking distance to the nearby Bến Thành Market. 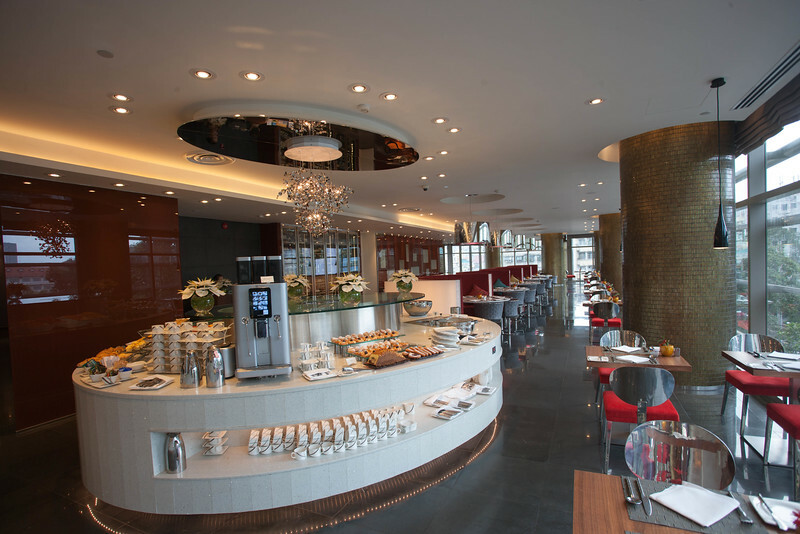 Being an Accor Platinum member allows me access to its Pullman Executive Lounge which offers value for its complimentary breakfast, all day beverages and evening cocktails.